Harvey Nichols Group Limited is a company incorporated under the Companies Acts with registered number 1774537 and whose registered address is at 361 - 365 Chiswick High Road, London, W4 4HS. The terms and conditions below govern Rewards By Harvey Nichols, including but not limited to enrolment in the programme, collection of points and the redemption of rewards and benefits. If you apply for Rewards By Harvey Nichols online at harveynichols.com or within the mobile application and select ‘agree’, you agree to be bound by and comply with the terms and conditions. The programme is open to any person aged 16 or over. We reserve the right to terminate membership where we believe, at our sole discretion, that any member is misusing the programme. As part of Rewards By Harvey Nichols we will award you points based on purchases at any participating Harvey Nichols stores (Knightsbridge, Birmingham, Bristol, Edinburgh, Leeds, Manchester, Liverpool) and at Harveynichols.com. Qualifying purchases are any transactions that are not excluded in these terms and conditions. You must be registered in order to start redeeming points instore and online. We will award 1 point for every £1 that you spend on qualifying purchases. We reserve the right to either increase or decrease the number of points accrued on qualifying purchases, or to change how points are accrued, from time to time and at our sole discretion. We will notify you of any changes we make by updating these terms and conditions. Purchases that are excluded and do not qualify points are as follows: selected concessions. Any purchases made using Harvey Nichols vouchers, gift cards and cash rewards. Harvey Nichols reserves the right to amend exclusions on the above list from time to time and without notification to the member. For guidance on concessions please enquire instore. You will not accrue points on purchases that are fully paid for by redeeming a voucher, gift card or redemption of a reward (for example, Rewards By Harvey Nichols voucher). 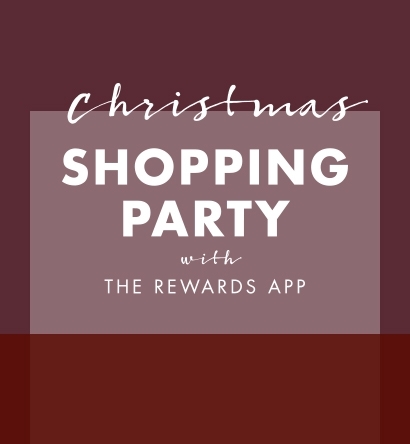 If you part-pay for a purchase by redeeming a voucher, gift card or cash reward, you will only accrue points on the cash element of the purchase above the value of the voucher. You can check your current points balance in the app. Please allow up to 24 hours for your points to be updated. Alternatively by contacting our customer service team on +44 (0)20 7201 8088 or by emailing customerservices@harveynichols.com. Points relating to retail transactions will be added automatically within 24 hours. Transactions at Harvey Nichols bars and restaurants may take approximately 4 hours to be processed and must be added by the customer in the mobile app. Points for online orders are awarded on the date your order is dispatched. Therefore points assigned to an online order placed towards the end of an earning period may be carried over to your next reward, dependent on the dispatch date of your order. You must present your Member ID at the time of a purchase in order to earn your qualified points. For purchases on Harveynichols.com, you must be logged in with your Rewards credentials in order to earn points. If a customer is unable to show their Member ID when making a transaction, they will have 14 days following purchase to redeem their points. A unique barcode is printed on the receipt in order to scan using the mobile app, or alternatively type unique transaction ID printed beneath barcode. When scanning a receipt using the mobile app, the points will be attributed to the loyalty account on the date the receipt was scanned, not the original transaction date. If we refund you for purchases that earned points, we reserve the right to deduct these points from your points balance. The app cannot be used for proof of purchase in case of a return or exchange for instore and harveynichols.com transactions. In the event of an exchange or return, you are required to present the receipt of the original transaction. You cannot transfer points to another person, including any programme member. The app will notify you on how to redeem your rewards. You will have the opportunity to redeem one reward per quarter. It is your responsibility to manage your rewards, including the time in which they are valid before expiration. Vouchers must be redeemed in full and used on one transaction only for purchases instore. Rewards can only be redeemed in participating Harvey Nichols stores and at Harveynichols.com. It is at the account holder’s discretion as to who redeems their reward. Rewards must be redeemed before the end of each membership quarter. If a reward is not redeemed within the membership quarter it will not be re-issued or reconverted to points. Rewards are subject to these terms and conditions, along with any terms and conditions displayed in the app. As some rewards will be limited, our complete offering is subject to availability. Please note that any Products containing alcohol are only available for purchase or redemption by customers aged 18 years or above. (Liqueur chocolates are only available for customers who are aged 16 years or above.) If there is any inconsistency between the terms listed at Harveynichols.com and in the app, the terms at Harveynichols.com will prevail. To determine the choice of rewards you are entitled to, we will calculate the total points you have accrued in the previous membership quarter. Refunds will apply to the quarter the transaction was incurred. You must acquire a total of 75 points or above in a quarter to earn a reward. We will present you with a choice of rewards in the mobile app based on your spend in a quarter. Membership quarters run as follows: First quarter: 1st April to 30th June; Second quarter: 1st July to 31st September; Third quarter: 1st October to 31st December; Fourth quarter: 1st January to 31st March. In the instance that fraudulent activity is suspected, we reserve the right to suspend your account whilst further investigation is undertaken. In doing so we may request evidence in the form of receipts or bank statements to support the transactions associated to your account. If we consider, at our sole discretion, that you are using the programme fraudulently, we reserve the right to refuse the issue of rewards and/or the redemption of rewards that have been issued. At the start of a redemption period you will be offered rewards based on your accumulation of points in a quarter previously. Our quarterly rewards calendar will run as follows: spend in Apr-Jun, redeem Sep-Nov; spend in Jul-Sept, redeem in Dec-Feb; spend in Oct-Dec, redeem in Mar-May; Spend Jan-Mar, redeem in Jun-Aug. When a new earning period commences, your rewards calculation begins again from zero, and any qualifying spend in that period then contributes to rewards in the corresponding redemption period. Rewards must be selected and used within the redemption period stated. Rewards which are not used within the qualifying redemption period will expire. If a reward is reissued for any reason it must still be used in the same redemption period. Rewards cannot be extended. Customers can only redeem their chosen reward once during the qualifying period. Customers will be provided with several options from which to choose their reward. Once a customer selects and activates their chosen reward, all other options will deactivate and will no longer be available for selection. All details on the customer’s chosen reward are listed on the reward’s information page in the app. It is up to the discretion of the customer as to who then redeems the reward. When redeeming a reward, customers must provide proof of possession of the reward by showing the activated barcode on the qualifying account. Points will not be earned when redeeming a reward. Alternatively when redeeming online your selected reward will appear in MY HN at harveynichols.com. If you suspect fraudulent activity with the use of your account, please contact our customer services team on +44 (0)20 7201 8088. If you’re redeeming an experience reward including but not limited to: dining experiences; beauty treatments; and hair appointments, a booking will be required prior to redemption. Once instore, you will be required to display your customer ID (barcode in sliding panel) along with your Reward barcode found in the app. Service charge is not included as part of hospitality rewards, and as such any additional tipping is at your own discretion. When redeeming a reward, the full value must be redeemed in one transaction. You are encouraged to use our Style Concierge teams or any members of staff to assist you when using your reward. Redemption will not qualify for rewards points, but any additional spend above the value of the reward will earn points. Rewards can be redeemed both instore and online; online redemption requires the customer to log in to MY HN at harveynichols.com, following the instructions provided. Where the reward is redeemed online, only UK standard or express delivery will be included. Vouchers cannot be used to purchase Harvey Nichols Gift Cards/Vouchers. In addition, vouchers cannot be redeemed against wineshop products, discounted products, promotion or marked down items or in YoSushi, Burger and Lobster, Zelman Meats and any other selected instore concessions. For guidance on concessions please enquire instore. If you use your voucher to purchase any products containing alcohol or tobacco, you may be asked to produce photographic identification. Proof of age may also be required when using certain beauty services. Dining experiences require a booking before redemption, and are subject to availability. Booking details can be found in the reward details page in the app. When making a dining reward booking, please reference your reward details to help ensure availability. Both the booking and the redemption of your dining experience must fall within the redemption period. You may be asked to produce proof of age if the reward includes any product containing alcohol. Selected beauty rewards require a booking before redemption, and are subject to availability. Booking details can be found in the reward details page in the app. When making a beauty reward booking, please reference your reward details to help ensure availability. Both the booking and the redemption of your beauty experience must fall within the redemption period. Beauty treatments are subject to their own terms and conditions, which sit with the relevant beauty brands. Some beauty experiences may also require proof of age. Specified product rewards such as hampers, products from selected Harvey Nichols Wineshops or Food Markets are to be collected instore only and are subject to availability. You must provide your proof of reward that’s attached to your qualifying account. Without this, the reward cannot be redeemed. You may be asked to produce proof of age if the reward includes any product containing alcohol. All other products will be redeemable online. Vouchers may not be used in conjunction with any other discount when making purchases online or in our bars, restaurants or cafés. Our Harvey Nichols returns policy will apply to voucher and selected product reward redemption at Harveynichols.com. See further details here: www.harveynichols.com/delivery-returns/returns/returns. In the event that your selected product is out of stock, or we’re unable to fulfil your selection when redeeming a voucher or product reward online - please contact our customer service team who can reinstate your reward on +44 (0)20 7201 8088 or by emailing customerservices@harveynichols.com. 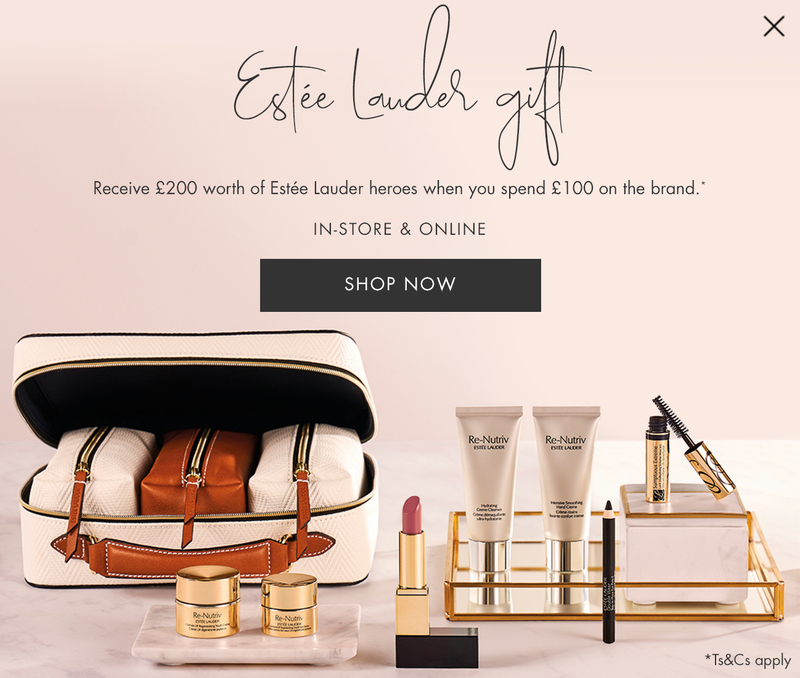 Members of Rewards By Harvey Nichols will also receive in-store and Harveynichols.com benefits, commensurate with their tier level, which is based on points accrued in the membership year (1st April to 31st March). This is in line with the tier structure displayed here: Silver: 0 – 249 points; Gold: 250 – 4999 points; Platinum: 5000 – 9999 points; Black: 10,000 +. Benefits will be provided subject to availability. Any further terms and conditions relating to the benefits will made available to members from time to time in further correspondence, at Harveynichols.com, Harvey Nichols stores or in the mobile app. Harvey Nichols shall not be liable to you in contract, tort (including negligence), breach of statutory duty or otherwise, in respect of any of the following losses, damage or fraudulent activity experienced on your own or another members account (whether such losses or damages were foreseen, foreseeable, known or otherwise). Except in respect of death and personal injury and subject to the provisions of these Terms and Conditions, our maximum liability to you for breach of any obligations hereunder shall be limited to the value of the reward or benefit provided to you in respect of such claim. If your membership is cancelled for any reason, your points will also be cancelled and no rewards, or any other financial or other benefit, will be issued in respect of them. Harvey Nichols will not be liable for any loss or damage resulting from termination of, or changes to the programme or for the revocation of points and rewards. Members are personally liable for any and all fees, costs, charges, claims or liabilities (including taxes) of whatever nature arising from membership. Harvey Nichols has the right to terminate the membership or amend these terms and conditions from time to time, at our sole discretion. Harvey Nichols will not be liable for any resulting loss or damage incurred as a consequence of amending or terminating your membership. Your continued use of the programme constitutes acceptance of the altered terms and conditions.